Warning: there is a limited number of participants! In the two-day Master Class M.Y.O.D.M.! 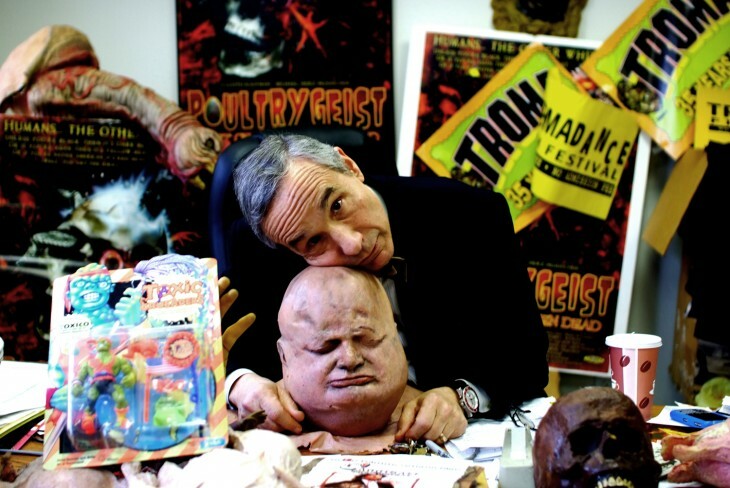 (from and with Lloyd Kaufman), his knowledge and wisdom about the great mystery of making films can bring you closer and yet closer to making one yourself. Target audience: each and every person who has the deep, burning desire to make movies, but lacks the money to do so. Lloyd Kaufman will share 40 years of his experience making movies, and offer a highly entertaining crash course on everything from developing the idea for a movie, to completing it. The questions will also be answered: how does one produce SFX worth $50,000 for less money, ($92, to be exact), or blow a school up for just ten euros (only in the movies).